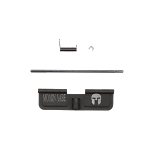 Designed to reduce play between upper receiver and lower receiver of tactical carbine/ rifles .223. Works by providing tension on the rear take-down pin of lower and upper receiver. Increases accuracy, decreases vibrations and reduces wear. Made of flexible rubber composite. This wedge will instantly tightens loose upper & lower receivers. 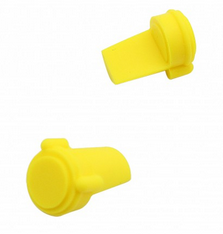 Fits near the take down pin of lower receiver to keep lower section snug and tight against the upper receiver.This product helps promote better accuracy by making the upper and lower receiver fit tighter and will decreases vibration and wear. Easy installation,“no gunsmith”required. Just open your upper receiver and drop this rubber wedge into the rear of the lower receiver behind the push pin.